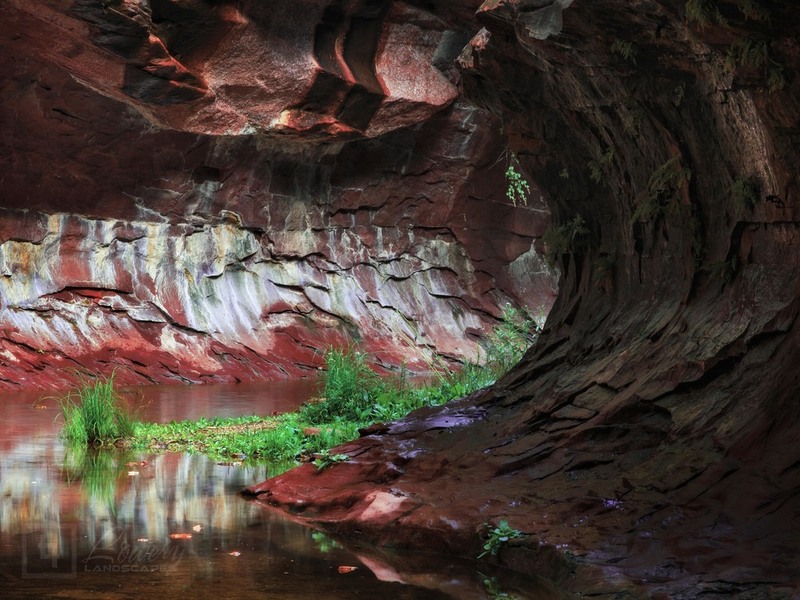 This beautiful subway canyon is not the one you may have seen so many times before — that one is in Zion National Park. This one is actually tucked away deep in the back of a long canyon in Sedona, Arizona! I hiked in the rain about 4 miles, wading across a fully loaded creek 26 separate times to get to this location. What an amazing place. The water was crystal clear, the red stone formations were incredible, in a deep shade of maroon, with purple accents, and trimmed with vivid green foliage.